Here in the lab I’m running out of resources to run all my VMs concurrently on the one host. 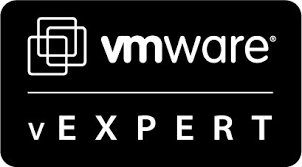 Rather than add another physical host at this site (or switch off some VMs), and with long-distance vMotion now available in vSphere 6.0, I decided to place another at my secondary site in the UK. Before the move to vSphere 6.0 (I’m currently studying for my VCAP so want to stay on 5.5 for the time being), I decided it would be best to migrate my 14-host Exchange 2010 environment over the secondary site, and setup SRM in the process. However before I could do that I needed to setup vSphere Replication to get the actual VMs over. With the VPN to the secondary site not being the quickest, it was important to compress my already thin-provisioned VMs down as much as possible. It’s an old one, but always worth doing in this type of scenario. The important thing here to remember is to target the VMs normal VMDK, not the one ending in “-flat.vmdk”. After a while it finished and freed up a lot of space, ready to be replicated using vSphere Replication 5.8!